Changes to Data Protection and your rights. 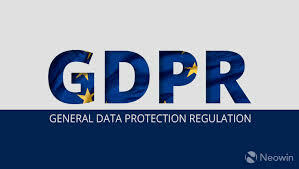 The GDPR (General Data Protection Regulation) seeks to create a harmonised data protection law framework across the EU and aims to give back to data subjects, control of their personal data, whilst imposing strict rules on those hosting and processing this data,anywhere in the world. In line with the new data protection laws the Epping Forest Conservative Association collects and stores data about our members and from other sources. The document attached below explains how the association will treat this data along with your rights. Click on the attached PDF to find out more.